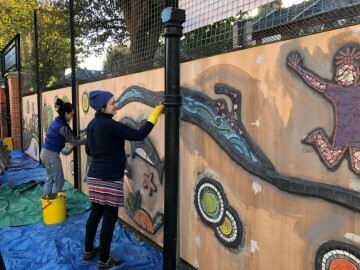 Community art is made by a community for its community, and Shaftesbury Park Primary School is the heart of the Shaftesbury Park Estate. 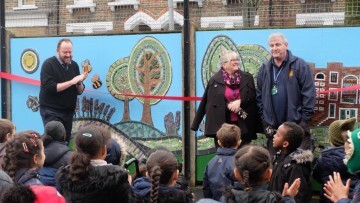 To celebrate the long history of the area children, parents and members of the local community have worked with artists to create a mural representing the journey of the school – from the lavender fields the site once was to the dynamic bilingual and enterprise curriculum currently on offer at Shaftesbury Park Primary School today. 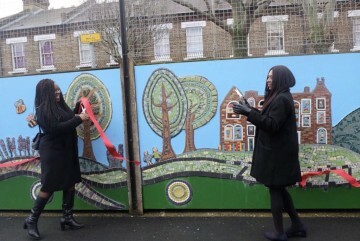 The mosaic was officially opened by the local MP Marsha De Cordova who cut the red ribbon and talked to the children about how inspiring the mosaic is and how it represents the life of the community. 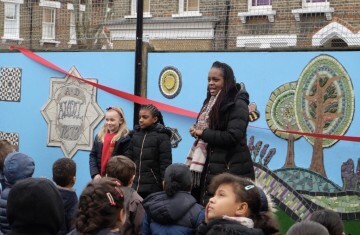 Parents, children and local residents all discussed what the mosaic means to them and how it celebrates the local community. The younger children made ceramic pieces and the upper primary children created the mosaic. They cut the tiles, made design and colour decisions and worked together piece by piece. The local wider community got involved through an open access sessions – many parents and teachers had a go too! 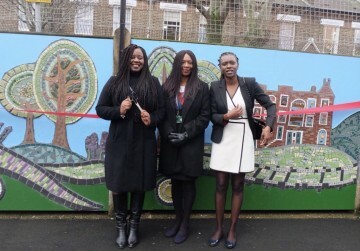 The mosaic was then completed by a team of artists and volunteers from Art4Space. Mosaic and ceramic is a great medium to use in school projects, both are durable mediums which don’t fade over time. 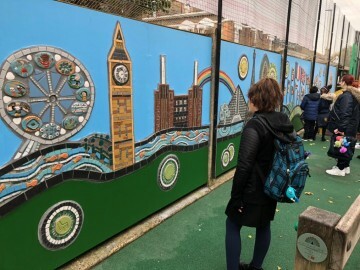 The mosaic work allowed the children to work with different materials which brought texture, depth and an interactive quality to the finished art work. 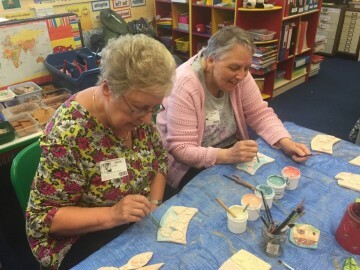 The ceramic work allowed the younger years to really get involved, with the older children learning the techniques of formal mosaic making. “Whatever artistic talents or interests, it’s important that we make the most of any opportunity that gives children the chance to learn, develop and expand creativity.” Julie Norburn – director Art4Space.